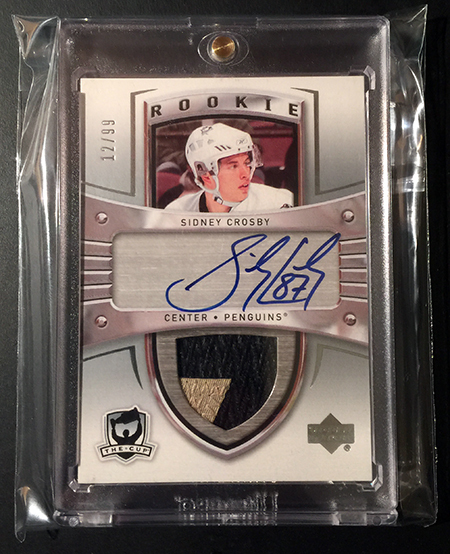 Sidney Crosby’s Autograph Rookie Patch Card from The Cup is widely considered the best rookie card every produced in that set, but also one of the best modern day hockey cards of all-time. 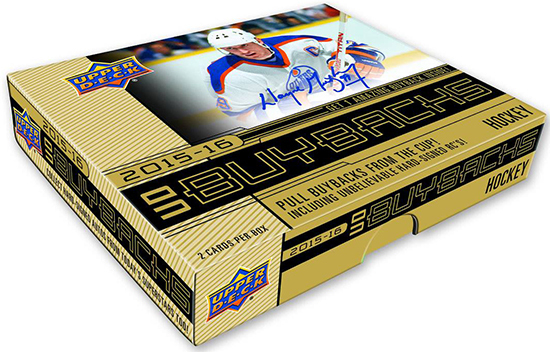 When Upper Deck announced it had purchased back one of these ultra-rare cards (for the price of most new automobiles) and inserted it randomly into 2015-16 NHL® UD Buybacks, collectors were chomping at the bit to find it. After the first week of release, the card was still undiscovered even though collectors were breaking through the Buybacks product very quickly. UD Buybacks was a very popular product that sold well with many collectors searching for the Crosby rookie from The Cup! And then a month went by. And then even staff here at Upper Deck were wondering what happened, and when it might be discovered. We don’t have a way to track where individual cards go, but our production team assured us it made it out into a box and was just waiting to be found. Enter a young man named Dalton Romach, and this is his story. “When I was 8-years-old I became obsessed with hockey. I loved watching hockey, playing hockey and collecting hockey cards & memorabilia. My favorite team is the Pittsburgh Penguins which makes things interesting in my home because my father is a long-time Philadelphia Flyers fan. “My local card shop is Evan’s Sports Cards and Collectibles in Voorhees, New Jersey. Evan’s is a great place to go to get a wide selection of sports cards at a great price. Over the past few years, I have pulled some really impressive, high-end hockey cards from Evan’s stock. The shop owner is extremely knowledgeable about sports card collecting and sports in general. Evan is a really friendly, and helpful guy. Dalton has compiled a nice assortment of Crosby cards over the years, but little did he know he would soon have the ultimate Crosby card in his possession. Sometimes, dreams come true… Get ready for a Christmas Miracle! “It was Christmas morning and I got a number of Hockey card boxes as Christmas gifts. In addition to the Upper Deck Buybacks case, I also got some other awesome boxes! I opened the Buybacks case last. The Sidney Crosby card was in the last box of the case, and ironically, there was a Sidney Crosby base card on top of it. 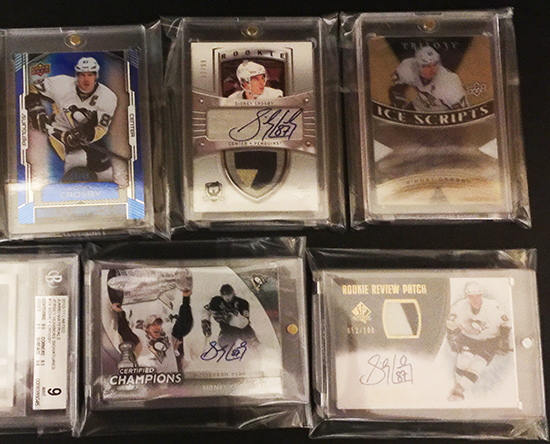 I was extremely overwhelmed, I couldn’t believe I just pulled the Sidney Crosby RPA. It was truly a dream come true! I was so excited, my entire family ran into the room to see what happened as I couldn’t stop screaming. He had done it! He pulled the holy grail of NHL rookie cards! Congratulations Dalton and great work by your dad and Evan in picking that incredible case! We are so happy Sidney is going to such a good home even with a Flyers fan under the same roof. 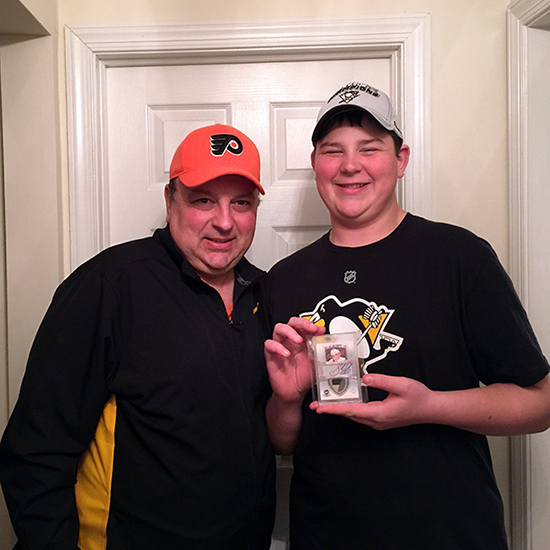 Very cool that it went to a Penguin’s fan! That’s just fantastic, very happy for him!